Can you please provide some easy tips on how to have healthy & lustrous hair? I see so many people with great hair and I never seem to achieve the same results. Who hasn’t coveted easy tips for achieving healthy & lustrous hair? Actress Melissa Rauch of CBS’s Big Bang Theory has enviably beautiful shiny blonde tresses both on (Bernadette) and off-screen. Sometimes achieving gorgeous strands can be tricky without understanding the best ingredients and products to use. 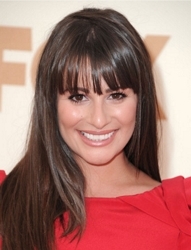 Listed below in this blog are some easy tips for achieving healthy & lustrous hair. One of the best ways to build and maintain healthy hair is to nourish it with protein. 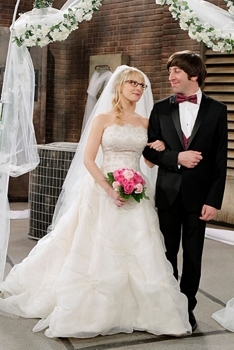 Howard (Simon Helberg, right) & Bernadette (Melissa Rauch, left) Big Bang Theory, CBS Television Network. Photo: Cliff Lipson/CBS ©2012 CBS Broadcasting, Inc. All Rights Reserved. Protein is the building block for the hair shaft. Search for ingredients like milk, eggs, wheat and soy in hair products. Some animal products, like placenta, may also contain a rich protein supply. Most hair types need constant hydration, typically derived from hydrating shampoos and conditioners. “Curly hair needs more moisture than any other kind of hair,” says Bernard Arapoglou of Frédéric Fekkai Palm Beach. Any hair which has been chemically treated or processed needs extra care because it tends to be drier and more brittle than natural hair. Ingredients which moisturize and hydrate well include water and oils. Panthenol and glycerin may also help water to adhere well to the hair. Oils possess excellent hydration properties. Some good oils to look for in your products include lanolin, honey, olive and fruit extracts. Butters also possess rich hydrating properties, so look for shea, soy, brazil nut, peanut and coconut butters in hair products. “You need an essential oil treatment for hair at least once a week,” says Mordechai Alvow, celebrity stylist and creator of Yarok organic haircare. Alvow created a blend of essential oils called “Serum 7: Spark Your Youth” to give hair shine and to replenish the scalp. The oils include avocado, apricot kernel, wheat germ, ylang ylang, yarrow, orange blossom, bitter orange. Avocado oil is known for its regenerative and moisturizing properties. It’s rich in vitamins A, D and E and is high in essential unsaturated fatty acids, all of which soften hair and moisturize. Yarrow oil is thought to promote hair growth. Orange blossom is rich in Vitamin C and help transform and impart shine to the hair. A hair mask rich in yarrow or related oils is a good bet to use at least once a week. “People should know what condition their scalp and hair is in,” says Marina Perkovic, a hair technician at Phyto Universe in New York City. Perkovic recommends that if your scalp is oily and your hair is dry, use a shampoo for the scalp, and a mask or conditioner for the hair. Make sure you keep the mask/conditioner off your scalp. It may be a bit of a chore to mix and match products for both your scalp and hair, but the important point to note is that you won’t necessarily need the same product for both. Heat can crack the hair cuticle and sap moisture from the strand. 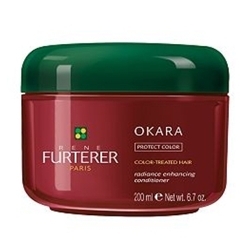 This will cause hair to become dry and brittle. In the study The Cracking of Human Hair by Cyclical Thermal Stresses, author Garcia-Gamez confirms that multiple cracks on the hair cuticles were engendered by repeated cycles of wetting and blow-drying. To achieve healthy hair which is styled beautifully (if you can’t completely stay away from heat-inducing appliances which produce volume, style and curl), use heat safe cleansers, conditioners and/or styling products. 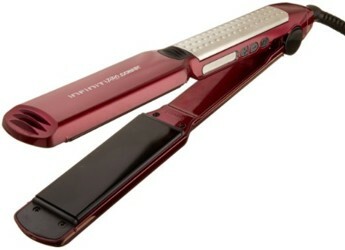 Using a flat iron made from ceramic and tourmaline, for example, will minimize frizz without draining moisture from the hair. Why? Ceramic and tourmaline (a precious stone ground to fine powder) are naturally moist substances; tourmaline releases negative ions when heated and prevent cuticle damage while infusing moisture to your hair. Using high-quality styling appliances and treating your hair with shampoos and conditioners designed to protect hair from heat-induced damage can help the cuticle immensely. These procedures will strengthen hair over time and prevent brittle hair and split ends. When you go to the beach or are spending most of the day outdoors, wear a hat or scarf to protect your locks from UV rays. Since natural elements like seawater, sea breeze, severe sun and humidity can wreak havoc for your strands, consider using a leave-in conditioner during hotter months. This will act as a barrier between the sun and your hair. It’s almost impossible not to change the composition of hair when you use chemical dyes and treatments, so consider using vegetable dyes when you color your hair. These include organic henna and plant dyes that color hair gently without stripping moisture from your cuticle. The more you bleach and color your hair, the more damage it will cause your cuticle. Studies have shown the bleaching and coloring hair will swell the hair cuticle because the color wants to get beneath it. Daily weathering also compounds the effect of repeated bleaching because the lipids and amino acids (protein bonds) in the hair alter the characteristic for a healthy cuticle. Ultimately, hair can split and be irreparably harmed. Natural hair colors use less peroxide and have fewer artificial color molecules, so that they don’t alter the PH of the hair too much. “When you color your hair, we move from a natural PH level of 4.5 to 5.5 to a more alkaline level of above 7,” says Perkovic. If you’re married to chemical coloring and processes, use products that are specifically geared toward color-treated hair after your treatment. Especially hydrating, these products are also acidic and may help bring back the hair’s PH to neutral. Try some of the tips above to help you achieve the hair you desire. Note: Hairboutique.com did not receive any form of compensation from any of the companies or experts referenced in this blog. Content provided in part by beautypress.com.